Overloading Power Boards – Are you guilty Overloading Power Boards - Are you guilty? Whether it be technology; laptops, tablets, smartphones and TVs, or household appliances, such as kettles, toasters, washing machines, dishwashers and vacuum cleaners, it is pretty safe to say that most of our “gadgets” in this day and age require electricity! Even if they are wireless, they need to be plugged in to charge! The issue facing many homes and offices now, is that they were not built to cope with this level of electricity consumption and therefore don’t have enough standard outlets to accommodate all the required wires and cords. 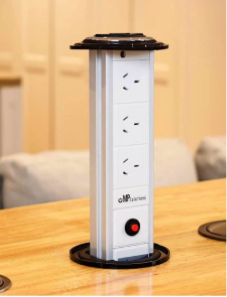 Power boards can turn a single electrical outlet, which can only hold one or two plugs, into one that can accommodate multiple plugs. Sounds perfect right? Wrong! It can in fact be extremely dangerous if you overload the power board, and this has become common practice in many homes and offices. Overloaded power boards can not only damage the devices that are plugged in, they can cause electric shocks and even start fires. You need to understand the do’s and don’ts of electrical safety when it comes to power boards to protect yourself and those around you. Here are six safety tips from Tradesmen Ontime on how you can protect yourself, your family, your colleagues, as well as your devices, home and office, from the dangers of overloading power boards. 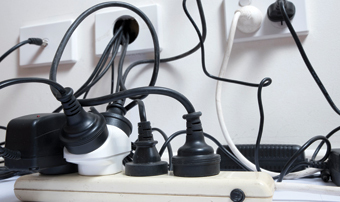 The piggyback method is when you essentially overload a power board by plugging one plug in and then connecting it to another to create a longer cord. Every power board has a maximum current rating. That rating is determined based on the design and structure of the power board. It does not factor in the use of additional adaptors or extending it with another plug. Piggybacking is a fire hazard! Some power boards have a feature that is called overload protection. This feature will automatically interrupt supply to the power board should there be a potential for overloading. Appliances, such as heaters, gas or electric stoves, kettles, and TVs, are often classified as high wattage. The high wattage classification means these electronic appliances require more power to run properly. Unfortunately, many power boards are not designed to handle high wattage appliances. 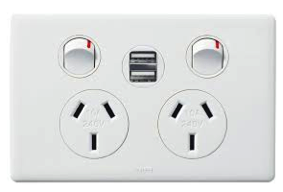 These items need to be plugged directly into an outlet that is considered the main power point. Extension cords are designed to provide you with temporary access to a power point. They are not intended for permanent use. If you notice you are running out of outlets in areas of high use, you should speak to a qualified electrician about expanding the number of power points in your home or office. There are many cheap and easy options to increase the number of power points and reduce the number of chargers. In addition to the above safety precautions, there are also a number of things you can do to make sure the power boards you do use are as safe as possible. Always place the power board on its side to avoid dust from accumulating in any unused points. Look for any damage to the power board such as cracked covers or frayed wires, “burn marks” and discoloration. Still unsure? 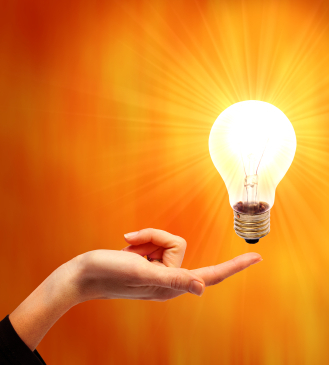 Call Tradesmen Ontime for an assessment of the power points in your home.